COME SOAK UP THE FUN WITH NICKELODEON’S SPONGEBOB SQUAREPANTS! Who lives in a pineapple under the sea? Nickelodeon’s SpongeBob SquarePants! Whose birthday is on 14 July? SpongeBob SquarePants! Wah... Harini Birthday SpongeBob SquarePants. Curlass kau SpongeBob. Siap ada tarikh lahir tu. Happy Birthday To you SpongeBob SquarePants. Same month dengan #makanakempat nih. Wanna join the party? Here are six ways you can soak up the fun with SpongeBob SquarePants! Dive into the annual Ocean Park Summer Splash’s water fun from now to 28 August with a galore of exhilarating water-themed attractions, scrumptious dishes and “Get Closer to the Animals” activities. SpongeBob SquarePants and his friends Patrick Star, Squidward Tentacles and Mr. Krabs are visiting from Bikini Bottom to engage with guests and fans from all over the world in the city’s first-ever SpongeBob Water Party. Fans of the adorable character can collect limited-edition souvenirs and enjoy SpongeBob-themed healthy vegetable delicacies and cooling dishes. Ocean Park is also presenting various “Get Closer to the Animals” programmes, including the time-limited summer edition of Grand Aquarium Exploration, which takes guests on a memorable marine adventure. A second wave of summer surprise will start on 15 July, with around 800 prizes being given out every week to guests through the Ocean Park Mobile App. For more details, visit the website HERE. Held from 16 to 17 July at City Square Mall, Nickelodeon’s slimiest integrated sports festival promotes active living through play for kids and their families through a series of engaging stage activities and game booths which allow attendees to get up close and personal with the green slime that is Nickelodeon’s badge of honour. There will also be meet and greet sessions where you get to meet SpongeBob SquarePants and snap a picture with the birthday boy himself! For more details on the free admission event, check out the website slimecup.com/sg. Join SpongeBob SquarePants in search of his missing best friend Patrick Star via a fun run taking place on 6 August at Siloso Beach, Sentosa! Participants will cover a five kilometre route showcasing iconic landmarks from the underwater city of Bikini Bottom, including the Krusty Krab, and the houses that SpongeBob, Patrick and Squidward Tentacles live in. 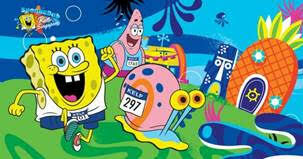 They will also receive a limited edition SpongeBob t-shirt, plush toy, runner’s license and medal! For more information and to sign up, visit the website www.sbrun.sg. The Nickelodeon Lost Lagoon located in Sunway Lagoon, Malaysia boasts 14 immersive attractions, some of which are themed with Nickelodeon's hit properties, including SpongeBob SquarePants, Dora the Explorer, and Teenage Mutant Ninja Turtles. Visitors to Nickelodeon Lost Lagoon can expect an exhilarating experience thanks to interactive play areas, which use the latest in reactive technology in addition to a daily signature slime event, a variety of waterslide rides, retail shops, games and a myriad of food service establishments and more. 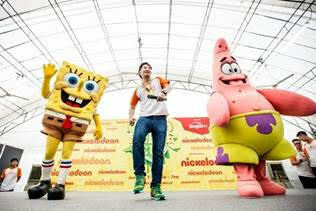 They will even have the chance to meet and greet their favourite Nickelodeon characters. For more information, visit the website HERE. A game app inspired by hilarious and memorable moments in the TV series, SpongeBob SquarePants. 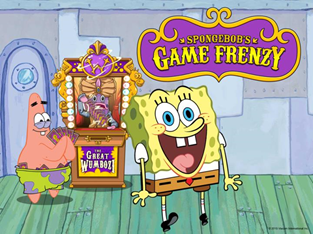 With 50 games available, players can collect fast and frantic mini-games and tap, draw, tilt, shake, drag and scrub their way through classic SpongeBob SquarePants moments to save Bikini Bottom. Additional game packs are available as in-app purchases. 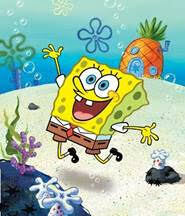 What better way to celebrate SpongeBob SquarePants’ birthday than by watching the animated series on TV! Follow him and his friends in their nautical, nonsensical adventures. Though they have the best intentions, SpongeBob and Patrick are always causing trouble…and plenty of laughs! 12.25pm (HK/SG), 1.15pm (MY), 1.30pm (PH), 4.20pm (WIB), 5.20pm (MY), 6.20pm (TH), 7.20pm (HK/SG) and weekends at 8.35am (TH), 9.30am (PH), 9.35am (HK/SG), 5.10pm (WIB), and 6.10pm (MY). So what are you waiting for? Put your square pants on and join SpongeBob SquarePants today! 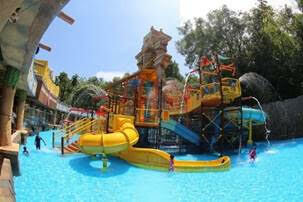 Lost lagoon dah best tapi dalam sunway lagoon terus telan airl iur ! hahaha..mahal kot nak masuk 5 beranak ! kekekee..